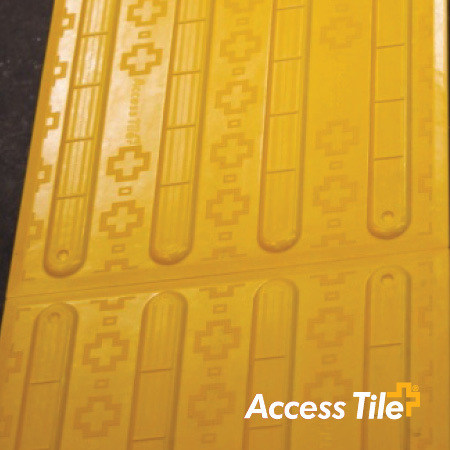 Access Tile® wayfinding tiles have combined proven engineered polymers, processing and material technologies with innovative and intelligent design features to create the ultimate in wayfinding tiles. Maximized efficiencies in manufacturing, materials sourcing and product specifications deliver the most cost-effective solution in the industry. 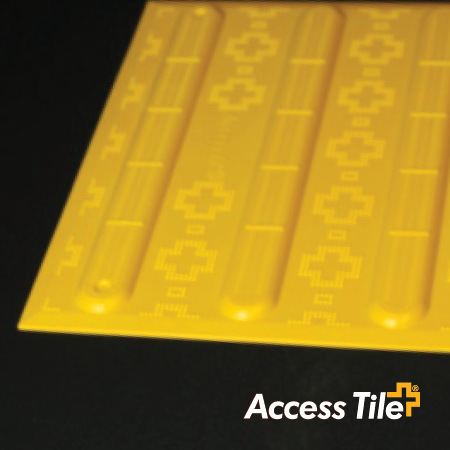 Access Tile® wayfinding bar tiles are the industry leader for durability, weather and wear resistance and are available as replaceable cast in place tiles and surface applied tiles.